Editor’s Note: This article is being published in as a two part series. In Part I, the authors summarize what is known about Fulcanelli based on primary sources of information provided by his trusted confidant, Eugene Canseliet, establish an approach they will use to review whether or not several proposed candidates are in fact the true identify of the famous and mysterious Master Alchemist, and attempt to establish the date of his birth and “departure” or death. Part II of the article, to be published in the next issue of the Journal, reveals the authors’ belief about the likelihood of these candidates actually being Fulcanelli and presents their proposed answer to the question: Who was Fulcanelli? 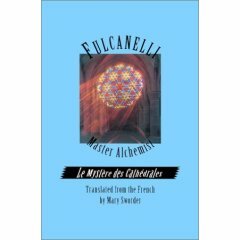 The 20th century Master Alchemist, Fulcanelli, is well-known to the alchemical community through the two highly regarded books that bear his name: Le Mystère des Cathédrales (1926), and Les Demeures Philosophales (1930). Both these books, initially published in French by Jean Schemit, have since been translated into the English language. The actual identity of the intriguing, secretive man behind the name “Fulcanelli” has been very well protected by design or fate for 80 years by the very few close associates who knew him, since his first book was published in 1926. 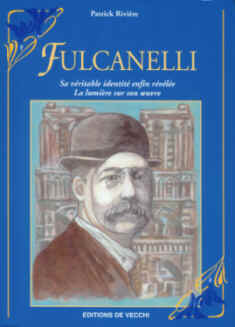 Many theories have been put forward regarding the possible identity of Fulcanelli (see, for example Fulcanelli Devoilé by Genevière Dubois, Fulcanelli: Sa véritable identité enfin révélée by Patrick Riviere or Al-Kemi: A Memoir by André Vandenbroeck). Some of the more popular possible candidates for Fulcanelli’s identity include Jean-Julian Champagne, René A. Schwaller de Lubicz, Pierre Dujols, Eugène Canseliet, or even a “committee” of three: Pierre Dujols, Jean-Julien Champagne, and Eugène Canseliet. No doubt, all three of these individuals were closely involved with the arrangements undertaken to publish Fulcanelli’s works, but Canseliet himself emphatically stated that Fulcanelli’s identity was not Champagne, Dujols, or himself, or a committee, but that of a single individual. The object of this paper is not to critique the current theories regarding Fulcanelli’s identity, many of which are carefully developed, based specifically on the particular assumptions as selected and presented by the authors. Instead, based on a number of observations and clues derived from sources closest to Fulcanelli, we are putting forward an alternative theory which we feel stands alone, not only in addressing most of the clues, but especially one of the most important of all clues, one which has consistently been ignored by other researchers to date. We begin by examining the various pieces of reliable information that are actually known about the man behind the name, Fulcanelli, followed by an examination of the year of his birth as well as the approximate year of his possible death or departure. From the preceding, we then develop a profile of characteristics that we feel must be used to narrow the choices in selecting a logical candidate for Fulcanelli’s identity. We then briefly demonstrate why the choices presented to date by others do not match this profile. Finally we present a possible candidate which we feel matches the profile almost exactly. Eugene Canseliet (born December 18, 1899; died April 17, 1982) as a young teenager, first met Fulcanelli in 1915, and by 1920 he continued to meet with him quite frequently. Because of this comradeship and sense of trust, in 1923 Fulcanelli entrusted the young Canseliet with his personal sealed notes for three manuscripts (Le Mystère des Cathédrales; Les Demeures Philosophales and Finis Gloria Mundi), two of which formed the basis of the two books subsequently published under Fulcanelli’s name (Fulcanelli specifically asked Canseliet not to publish the third manuscript). Canseliet was given the responsibility for the arrangements that would see the notes through to the final publication of the two books in 1926 and 1930. Canseliet’s other mentor, the artist and practicing alchemist Jean-Julien Champagne (born 1877; died 1932; shown at right), was given the task of illustrating the two books. Canseliet wrote the Preface to both books as well as the Prefaces to subsequent editions of the books. Some of the reliable information that we know about Fulcanelli comes from the Prefaces written by Canseliet, while other information comes from such other sources as various interviews that were later conducted with Canseliet. It almost seems as though Canseliet deliberately left behind a number of tantalizing clues. Although he kept his promise to keep Fulcanelli’s identity a secret throughout his life, in particular, it must have been very frustrating for him to be continually confronted with the many popular and persistent suggestions that Fulcanelli’s identity was Champagne. He often openly expressed his strong disdain for those who continued to believe this false assumption. Thus he may have subconsciously left the clues behind in the faint hope that later researchers would finally discard this unfounded theory. This was written in October, 1925, so certainly by this time, and actually a “long time” before, Fulcanelli had “disappeared” or “departed.” Although it is immediately tempting to interpret this as the time of Fulcanelli’s death, upon closer examination, we found that Canseliet is not specifically clear on what he actually means by the word “departed.” We will have more to say about this interpretation later in this paper when we discuss Fulcanelli’s date of death. Thus we have a partial description of Fulcanelli’s appearance and mannerisms. He was eccentric in appearance, was engaged in unusual occupations and was old-fashioned in mannerism. Here we are clearly told of Fulcanelli’s aristocratic background. Thus we can expect the man behind Fulcanelli to be a man of titles, perhaps even a French Count. Canseliet also hints that Fulcanelli took measures to erase the traces of his former self in the same manner as the Adepts of old. We will have more to say about this unusual practice below. This again indicates Fulcanelli’s “noble” and “dignified” nature, but adds a new physical characteristic: his face “bathed in long gray hair.” This indicates that he must have had noticeable facial hair, perhaps a long beard and mustache. Thus Fulcanelli possessed a “prodigious memory”, had a “beautiful smile” and wore a “baphometic ring” of transmuted gold and of Templar origins. 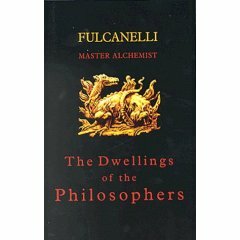 Based on the contents of Fulcanelli’s two books, it is readily obvious that he was very knowledgeable about the practice of chemistry and that he had far more than a passing interest in and knowledge of, architecture and its deeper principles and symbolism. His first book was a hermetic study of cathedral construction, detailing much of the symbolism hidden in the construction of the porches, bas-reliefs, facades and other components of various Gothic cathedrals in Europe. This tradition was continued in his second book where he expanded on his hermetic and alchemical investigation of architectural features and symbols. Another important piece of information concerning Fulcanelli’s background is that he participated in the war between France and Germany (1870-1871) under the commandment of the famous architect, Violett-le-Duc. This is another very interesting clue that, astonishingly, no other investigator has paid any attention to. During the time of the war Fulcanelli would have been in his thirties. Canseliet tells us how Fulcanelli made a return visit to his former commander after the war and it is likely that they had much to share during this visit as Viollet-le-Duc like Fulcanelli himself had a strong passion for medieval gothic architecture. “Trois ans après la malheureuse insurrection de la Commune, Fulcanelli, jeune ingénieur qui avait participé à la defense de Paris, sous les ordres de Monsieur Viollet-le-Duc, rendit visite à son lieutenant-colonel.” (La tourbe des philosophes, number 11, 1980). Thus we gather another clue of fundamental importance: Fulcanelli was an Engineer. As we will see later in this paper, it is a mystery in itself how this most important fact could have been passed unnoticed by the researchers who claim to have investigated this matter in depth, since it leads to a perfect match with Fulcanelli’s identity as both an Engineer and a Chemist, an obviously rare combination. When Was Fulcanelli’s Year of Birth? We realized that if we were able to determine Fulcanelli’s year of birth and approximate year of death (within a year or two), we would have a most reliable tool in which to narrow down various possible candidates who matched some of the other identified characteristics. 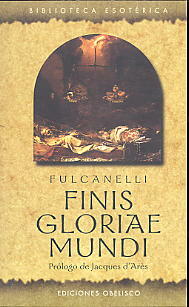 We now come to the most important clue of all: when was the year of Fulcanelli’s birth? Strangely, this clue has all but been ignored by the many authors who have speculated on who Fulcanelli may have been. Again, the confirmation of when Fulcanelli was born comes from the most reliable of sources, one who was trusted by Fulcanelli – Canseliet. This is an extremely important clue that cannot be disregarded. Here we have a clear and specific affirmation that Fulcanelli’s true identity was born in the year 1839 and not decades later as other researchers have consistently suggested. Earlier, we mentioned that Canseliet had stated that Fulcanelli had departed “a long time” before October 1925. Thus we know that his death or “departure” had occurred some time before this date. To further our investigation of Fulcanelli’s identity, we were left with the challenge of establishing a more precise time for this stated departure. If we could accomplish this goal then, combined with the information that we discovered earlier concerning his year of birth, we would have the necessary tool that we had been searching for that would permit us to narrow the scope of several possible candidates matching some of the other characteristics. In order to find an answer to this question, we turned to several sources, but primarily to the helpful interview that Robert Amadou conducted with Canseliet. R.A. – Donc, en 1922, la transmutation se passe sur les conseils de Fulcanelli. E.C. – Il était présent, puisqu’il me disait ce qu’il fallait faire, et c’est dans une petite cheminée, qui était excellente, que j’ai exécuté l’opération. R.A. [Note: Robert Amadou] – Therefore, in 1922, the transmutation occurred on the advice of FulcaneIli. E.C. [Note: Eugene Canseliet] – He was present, since he told me what it was necessary to make, and it is in a small chimney, that was excellent, that I have executed the operation. R.A. – Quand Fulcanelli vous a-t-il remis les notes? E.C. – J’avais trois paquets. Il me les a remis en 1923. R.A. – When did Fulcanelli give you the notes? E.C. – I had three packages. He gave them to me in 1923. It is therefore documented that Canseliet received three packages from Fulcanelli in 1923. These packages were sealed in wax and contained the manuscripts for Le Mystère des Cathédrales, Les Demeures Philosophales and Finis gloriae mundi. Canseliet alone was responsible for their subsequent publication, with the exception of Finis gloriae mundi which Fulcanelli later withdrew. The year 1923 is therefore the latest reliable date that we could find to indicate that Fulcanelli was at least still alive until then, although he wasn’t necessarily “seen” at that time by his associates. Further literature research may yet locate a later date, or at least a specific month during 1923 when Canseliet received the packages. There is yet another indication that Fulcanelli “departed” soon after the date of the transmutation. On page 61-62 of Le Feu du Soleil Amadou asks Canseliet if Fulcanelli took him on as a pupil. Canseliet replies that he was Fulcanelli’s student for six years, from 1916 to 1922, not as someone working directly with him in a laboratory, but by receiving advice as well as a specific selection of alchemical books to study. 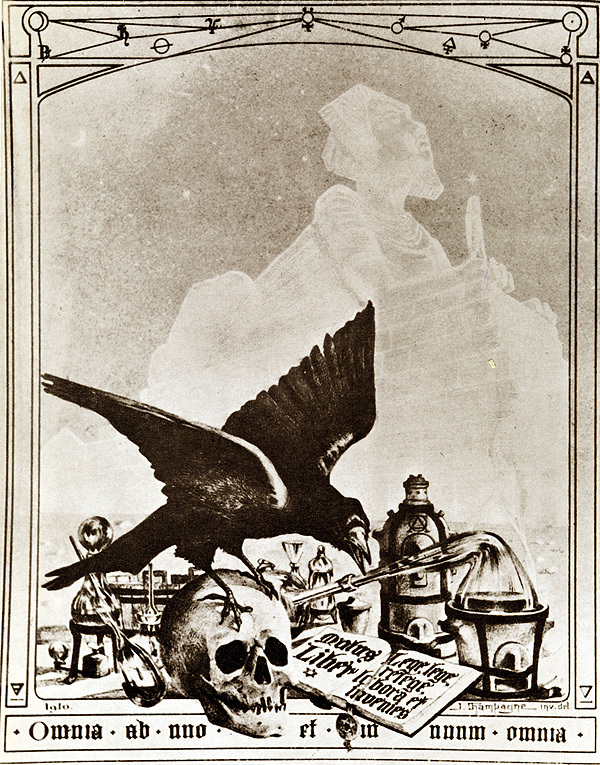 Canseliet then mentions the transmutation that was performed in Sarcelles during 1922. Amadou asks Canseliet if that was the year that he was with Fulcanelli again, and Canseliet replies that 1922 was also the year that Fulcanelli departed. Obviously, Canseliet received the packages from Fulcanelli during 1923, so what seems to be implied is that after September 1922 Canseliet no longer was in direct contact with Fulcanelli, at least until his official death which we will return to later in this paper. Did Fulcanelli “Depart” or Die? We now have two extremely important clues. Fulcanelli was born in 1839 and died or “departed” either in 1923 or 1924 (it should be noted that the early part of 1925 – a “long time” before October – is also possible but unlikely, since it is difficult to imagine a “long time” representing something less than 10 months). This narrows the search considerably, particularly since few men (especially during the early 1900’s) lived to the ripe old age of 84 or 85. Earlier, we mentioned that Eugene Canseliet was not clear on his use of the word “departed.” Ordinarily, one would assume that he meant “died,” but other curious documentation seems to imply otherwise. The interpretation of these seemingly contradictory and unusual findings presented us with some challenge although, in the end, we feel that they do not necessarily prejudice our overall theory. For interest’s sake, we present below some of these findings and offer some possible explanations. Earlier also, we mentioned that Canseliet received three packages from Fulcanelli during 1923 which were the manuscripts for Fulcanelli’s three potential books and that Canseliet was given the responsibility of publishing two of them. Before Canseliet published the first book, Le Mystère des Cathédrales in 1925, he sent the final draft to Fulcanelli, who then made a few corrections. Oddly, Canseliet admits that he did not see Fulcanelli in person during this time, nor since 1922. How then did he manage to get in touch with Fulcanelli and exchange the draft document with him? On page 71 of Amadou’s Le Feu du Soleil, we find the answer. Canseliet explains that the exchange was made through the assistance of a certain Mr. Devaux. We will mention this name again later in this paper. What is important to note at this time is that Canseliet reports having exchanged information with Fulcanelli during 1925 and that it was not direct but through a third party. At the same time, Canseliet seems to contradict himself by stating, in his Preface to the First edition to Le Mystère des Cathédrales, that Fulcanelli had “departed” long before this time. This clearly seems to contradict the statement in the Preface to the First Edition of Le Mystère des Cathédrales in which he stated that Fulcanelli “disappeared” or “departed”, “a long time” before October 1925. There seems to be an unaccountable five-year discrepancy between these two years. To understand this statement, it is necessary to know that there is a recurring tradition amongst alchemists that Adepts who had produced the Philosophers Stone often found it necessary to “fake” their death and live a secret, secluded life, free from the avaricious exploits of those who would stop at nothing, including murder, to wrest the secret from the Adept. Further, according to these traditions, the Adept was able to use their discovery of the medical properties of the Philosophers Stone not only to extend their own lives by at least several decades, but to regain a more youthful appearance and demeanor. Whether or not there is any validity to this belief by Canseliet does not necessarily affect our argument of who Fulcanelli may have actually been, but helps explain why Canseliet himself may have believed and said what he did. He obviously believed it very deeply, and there are other arguments which may support his extraordinary belief that someone who looked and acted like Fulcanelli may have lived some time after he “disappeared” in 1924, give or take a year (for example, the account by the French researcher, Jacques Bergier in his Morning of the Magicians). It is not our intention to explore the validity of these arguments within the scope of this paper, nor do we feel that it is necessary in order to defend our theory. Thus, in summary, Canseliet says that Fulcanelli “disappeared” or “departed” within a year or so of 1924, at least until the first book was published. He then “left” again in 1930, the year that his second book was published. Thus he (or someone who looked and acted like him) must have returned to visit or contact Canseliet again after his orchestrated death, and sometime between October 1926 and 1930. After this, Canseliet claimed that he didn’t see him again until more than twenty years later in 1952 (incredibly, Fulcanelli would have been about 113 years old at this time). In any event, regardless of whether Fulcanelli continued to survive after the official “death” of his identity or not, we can now logically assume, for our argument, that “officially,” the real identity behind Fulcanelli likely “died” in 1924, give or take a year, possibly in the vicinity of Paris. If anything, it is easy to get lost in the tangle of the voluminous forest of alchemical authors. To this add the many disparate approaches heaped upon the art, especially modern themes, which have nothing to do with alchemy except its hijacked name, and its no wonder many feel the art is a riddle wrapped in an enigma. My concern today is with helping aspiring practicing laboratory alchemist with defining the parameters of the work so that they may gain a firm mental underpinning with which to gauge their progress and critique the disparate methods they will undoubtedly come across. Simplicity is the key to Nature’s efforts and for me there are only two laws in this art-science, with which I have built up my entire philosophy and modus operandi. First and foremost it must be understood that the alchemical art is transcendent, its operations find expression and validity in all three kingdoms of Nature. The first law of alchemy may well be stated “As above so below, as below so above for performing the miracle of the One Thing” (attributed to Hermes Trismegistus). One can expand the first law by enumerating what I call the five postulates of the First Law. 2) All organisms, no matter how subtle or gross they are, have within them the divine spark of life and are interrelated with each other. It is therefore our task to understand this kinship, so that we may utilize inspired knowledge to aid in our understanding of how to prepare the quintessence of our matter. 3) All organisms are in a state of constant evolution as they continue their synthesis towards unveiling their inherent perfection. Upon reaching an understanding of postulate two (above), the true work begins, i.e., the aiding of nature by the art of alchemy to reach its highest point of perfection. 4) Humans are a part of the universe. Therefore, they are divine in origin and they can affect all organisms on all spheres of existence by their actions or inaction. 5) Humans, by understanding the basic laws that govern their beings and conversely the entire universe may learn to recognize the divine spark of vital energy in all organisms, isolate it, purify it, and manipulate it to speed up the processes of evolution. For example, when performing the alchemical work on plants, we use only products from the plant world which we have generated from the plant itself. This same caveat holds true for the work in the mineral and animal kingdoms. This is the big riddle in alchemy. How does one de-compound a thing, using only the matter of the thing itself? The alchemists claim that when done properly the work will produce a Philosophical Agent from the matter. This Agent holds dominion over the kingdom from whence it was engendered, and has the authority to call out in a moment’s notice the true quintessence from any other subject of that kingdom, without the use of any foreign device or heat. The Philosophical Agent allows the alchemist to elicit from the matter its quintessence which the alchemists say contains intact the regenerative germ of the matter. All other methods of acquisition or de-compounding the subject known to science are incapable of achieving this goal. It is with this Quintessence and the properly prepared body that the Stone of the Philosophers is made. The Philosophical Agent of the Philosophers is known by many names, and indeed each kingdom has its own agent. Some common names are “Mercury of the Philosophers,” “Circulata,”, or “Alkahest.” While many people claim the ability to make such things, a distinction needs to be made as to what is being produced when the menstruum is applied to the matter being worked on. The pulling of a tincture, no matter how quickly it occurs, is not proof of alchemical virility. Only that which causes a true separation of the quintessence from the matter through its own power, without external heat or device, can be deemed a Philosophical Agent; all else is simply a spagyric menstruum. To be clear, just as the name implies a “separation” is a taking apart of the matter causing its quintessence to become discernibly divided, while an “extraction” is a solution or tincture made by steeping or soaking a substance. If alchemy is renowned for one thing, it is the secrecy put forward by erstwhile Adepts concerning the prized Philosophical Agent of the mineral kingdom. It is possible though to prove and openly demonstrate the validity of Our Arts practice and laws using the kingdom of the plant world. Adepts in the art have cautioned us first to master the plant kingdom before attempting the mineral work. If one follows their advice, they will be amazed at the corollary in practical laboratory procedure and experience that directly translates to operations in the mineral kingdom. Therefore leaving for a moment the mineral realm behind, we seek a menstruum of the plant kingdom capable of separating the quintessence from a plant at room temperature. Alchemists claim that their circulata of the plant kingdom will cause the essential oils of a fresh plant to be separated from its body in a manner so that it may be seen suspended in the menstruum like iridescent pearls. This separation of course is carried out with out any outside heat or device; indeed one winter I did the separation it in my basement. The ambient temperature of the room at the time was 65 degrees Fahrenheit. Some may scoff at this excursion into the plant kingdom but I remind them of the first law of the Art. In fact, does not the separation Circulata Minor accomplish, in the plant kingdom, what we seek to do with one aspect of the Philosophical Mercury in the Mineral Kingdom? Here we have our first glimpse of the dual woman enthroned in Binah. In this aspect, she is dark, sterile, and chaotic reducing all things to their first matter while eliciting the fructifying principle, the regenerative sperm itself, from the matter. Indeed, all attempts at acquiring the regenerative principle without this substance sterilizes that which is sought, thus mortifying it. Only her menstrual waters have the ability to call forth that, which lay hidden in an instant while preserving it. If there is one stumbling block in the plant work, nay the entire Royal Art, I would have to say it is from the paving stone that thinks itself a cornerstone, thus occluding the work at its inception. In the mind of many, the word spagyric means alchemy. The pursuit of its three essentials, alcohol, essential oil, and salt in the plant kingdom, or acetone, hydrocarbon, and calx produced in a destructive distillation in the mineral kingdom, has become the end all of the Alchemical work for many modern practitioners. In the frenzy of the spagyric rapture more and more heat is used, as the big bad wolf huffs and puffs to wrest these fabled three from the matter and, with hammer and anvil, pounds them together in the hopes of producing a child diadem. What can such actions hope to produce but an aborting mass of jelly? My God man you took a hammer to her womb! So bedazzled have we become with obtaining the mythic Three that no mind is given to the generation of the Four. How eschewed and troublesome Nature, with her intricacies, has become. Packaged and sterile, I will take my one pound of herb, steam distilled, essential oil and grain alcohol please. Where are birth, growth and death in all of this? Where have we seen the differentiation of the spirit from light, fire, air, water and earth? If you have not seen the elements fold one into another to form matter, how do you suppose to un-fold them back into chaos? Observe Nature; for the Art begins where Nature ends. Understanding this art/science lies in the use of analogy and above all, common sense and reason. Our first task then is to understand the generation of the elements from the universal aspect of the Three Essentials so that we may use them to go about our philosophical work. The alchemist is above all interested in generating the vehicles of the Four Elements from his matter using art, not store bought, off the shelf items. Such things are anathema to the work and, though they come in handy for quick demonstration of certain principles, what you are truly after is always missing from commercially prepared items because it has been thrown out in the trash! An alchemist makes his wine; a Spagyricist at worst buys distilled grain alcohol or, at best, buys commercial wine from the store. You see, in the practice of the art, we are after much more than mere ethyl alcohol from wine. There are a myriad of substances that can be gathered from wine made by ones own hand and, depending on how one goes about collecting and preparing said substances, makes them suitable for use in Our Art. But back to the generation of the four elements in the plant work, in a very broad sense one could say that alcohol equates to the fire element while vinegar is the water element. The volatile essential oil and tincture extracted from a plant are respectively the volatile and fixed portions of the air element, while the water soluble, and non-soluble salts, are the analogous volatile and fixed aspects of earth. This though is an over simplification of the matter at hand and, if allowed to become one’s sole barometer of the work, will lead to the same type of tunnel vision suffered by many in connection with the Three Essentials. The simple truth of the matter is that things evolve and change in the laboratory so that at one point simple water can and is rightly understood as the fire element and, in another point of the work, a distilled liquid like 190 proof ethyl alcohol might be. This is why it is so important to understand the generation of the elements throughout our matter’s life as it allows us to bring in pre-cursor objects from sources within the kingdom where they are more abundant. As an example, let us take what is called plant mercury in spagyrics and, for want of a better term at the moment, the fire element in plant alchemy, your friend and mine, ethyl alcohol. Many alchemical writers are interpreted as saying that there is only one material, one matter with which to work with to acquire our Philosophical Agent; this though flies in the face of reason and the actions of Nature herself. If such a folly where true, then it would be analogous to one individual male in each species set aside to be the sole inseminator of all the females. This obviously is not the case, for each male has the capacity to pass on its genes, though some desired traits are found more readily in certain individuals than others. So too is it with eliciting what we desire from our matter, when properly fermented, all members of the plant kingdom will produce an alcohol or something analogous to it; yet the quantity and quality of said production will vary from plant to plant. This is simply because certain plants have a higher starch or out right sugar content than other plants do. As was mentioned before though, we are after other substances than just pure ethyl alcohol in our work and, while each plant will also yield these desired fractions their quantity and quality, vary greatly. The ancients, having also been confronted with this problem, found that, in the plant kingdom, no other substance gave the copious quantity and consistently high quality of all the needed fractions for the work than the grape which they hold as King, or a “root philosophical item.” Now, it would be sheer and utter folly to say that it is only from the grape that alcohol can be gained in the plant kingdom or, for that matter, any of the other desired fraction,but as to the parameters of our work it is absolutely ideal. Indeed, there is a specific mineral which product for product yields in quality and quantity the fractions of substances needed for the philosophical work in minerals with the same lordship the grape shows in the plant kingdom. Besides the “root philosophical item” I use, the only other exception I allow for Law Two is the introduction of water obtained from rain, dew or snow. The manner in which one works to bring about the decomposition of the matter and engender the Philosophical Agent and ultimately the Stone are known as the labors of Hercules and they are the 12 Operations of the Art. These 12 operations are the procedures and devices the alchemist uses to carry out the Art of Nature, for they mimic Nature’s work; they are, putrefaction, dissolution, distillation, separation, calcination, fixation, digestion, sublimation, incineration, multiplication, projection and congelation. The exact when and why a person utilizes one of these operations is, I believe, an intensely personal matter as no two alchemists are going to operate in the same manner. Each will have his own predilections and technical slights of hand when it comes to the work of incinerating an herb or ore. What is important is that one strictly adheres to Law Two in using fractions produced from the matter itself. For a horse cannot give birth to a man anymore than a grape can give birth to gold. This is why attempts at making the Philosophical Mercury from acetates is doomed to failure; it matters not if one is using lead, zinc, or antimony it will not produce the Mercury of the Philosophers. That is not to say that one cannot produce a rather strong and interesting alkahest, but it is not the Alkahest. For the sake of argument, let us suppose then that we have prepared our Philosophical Agent correctly and it gives us a true separation of the essentials from the matter. Mind you, we are not talking about the mere drawing of a tincture out of the matter but a true separation of the essentials from the matter. If the results are similar to our experience with circulate, we can expect to have a substance analogous to a plant’s essential oil, either floating on top of our menstruum or it will be settled on the bottom of our container. In either case, this essential will clearly and easily be seen and delineated from our menstruum. Our menstruum itself will also be tinged by our matter; this colored substance –when the menstruum is removed- along with the remnants of the matters body needs to be processed according to the art to produce the crystalline body of our diadem. Again, we come back to Mercury. Terms like “water that does not wet the hands,” “glue of the eagle,” “virgins milk,” “water of chaos,” “celestial rain,” “May dew,” and “sweat of the dunghill,” have been used to denote the Mercury of the Philosophers. Each of these terms is supposed to be referring to a singular substance but none evoke a singular image or utility in the mind. Glue is meant to hold, or refrain, a thing from movement, while milk evokes a nutritive and nurturing line of thought, and water of chaos shouts of dissolution and resolution. But when viewed as a series of events, certain characteristics of the Mercury can be seen. Again, my mind goes to Binah, which in one case is bright and fertile, and in another corrosive and dissolving and I know I am dealing with two separate substances. Each of these disparate substances is essentially from the same fraction of the matter though prepared uniquely and used at different times during the work. Indeed, what use would one have of a substance capable of causing a separation when one has entered the bridal chamber? A modern misconception about alchemy in regards to making either the mineral or plant Stone is that one combines the three essentials to make the Stone. The truth is there are only two, the white and red mercury. The latter is of course the Sulphur of the Philosophers, the red oil that carries the regenerative sperm of the matter –hence the need for its acquirement by a specially prepared Philosophical Agent hailing from the kingdom in question, the former being the body containing the seed. As odd as it may seem, the Mercury and the Salt are one, because in all cases what is seen as the Philosophical Mercury comes from and is made from the Philosophically prepared Body. For those enthralled with manage et trois, we should remember that the old philosophers described a King and Queen entering the bridal chamber; the third did not show up until after consummation of the union and a period of gestation. It is the appearance of this neo-substance that announces the birth of a rarified singularity, the One true Stone. In the proper preparation then of your Philosophical Body, a very interesting thing happens which allows you to tell it is animated and fertile; it will increase in size and weight even though you have not added anything to it, not even more of the aforementioned Philosophically prepared body. It accomplishes this task solely through an act analogous to our respiration, though its inhalations and exhalations are far longer. Observation of the weight of the matter before and after completing this tedious process will show an increase of weight by two or three fold; in this way the volatile becomes fixed. Finally, there is of course the proper preparation of the essential known as sulphur. It is not enough to merely get this oil, even with the Philosophical Agent, the soul must also be made capable of flight, and thus the fixed is made volatile. As per Law One, we see this is indeed possible in all three kingdoms; for can not the soul of a man who is the most disdained among us be changed and ennobled when the true inner light of divinity is found? Brother Basilius Valentinus speaks of a dexterous distillation wherein the very tincture of the soul of a mineral or a metal is made to transcend the head of the alembic and condense in the receiver, not as a clear spirit but the very color of the original oil, only brighter! The plant kingdom also gives us this phenomenon but it is not solely found in the volatile essential oils of the plant; this mystery is fully expressed in making the tincture gently ascend also. The mythology surrounding the life and death of Jesus the Christ is, the Adepts tell us, a record of instruction of the alchemical process; especially germane to the discussion of the sublimation of the soul/tincture is his resurrection. The mythology surrounding the event states that when Mary went to the tomb and looked within, she found it empty of Christ body whereupon she began to weep. A voice from behind her asked: “Woman why are you weeping?” With tears still falling, she turned and addressed a man whom she supposed was the gardener and beseeched him to tell where he had laid the body of her Master. He called her by her name and she instantly recognized him. We see in the resurrected Christ the power and demonstration of the Philosophical Agent by its ability to elicit the light from within, but this event also points silently to the matter concerning the soul/tincture. Mary saw the risen Christ as a man, not a translucent essential spirit, but rather a flesh and blood man. Thus, we seek in the plant world also the transformation of the soul where its volatile and supposed fixed colored tincture transcends the alembic’s head, entwined with the spirit and body. Simplicity is the key to Nature’s efforts and for me there are only two laws in this art-science, with which I have built up my entire philosophy and modus operandi. First and foremost it must be understood that the alchemical art is transcendent, its operations find expression and validity in all three kingdoms of Nature. The first law of alchemy may well be stated “As above so below, as below so above for performing the miracle of the One Thing” (attributed to Hermes Trismegistus). One is often faced, while preparing a recipe or determining the components which are more appropriate for a certain working, with the possibility of a certain plant one wishes to work with being assigned to the influence of three, four, and sometimes even five different planets, according to different authors. When these planets are somehow related (like Mars and Saturn being considered in the past as ‘evil’ or of detrimental, limiting energy), one might attribute this to the development of astrological understanding through time and consequently consider them of the same general limiting intention in light of the more current knowledge. But when the possibilities offered can not be so clearly grouped into one general aura or type of energy, one is left with no other solution than to make an almost random choice based more on the preference one might have for a certain author, publisher, tradition or period of the history of magic than on any other data, especially if one has limited previous experience in working with the problematic plants in question. One is often faced, while preparing a recipe or determining the components which are more appropriate for a certain working, with the possibility of a certain plant one wishes to work with being assigned to the influence of three, four, and sometimes even five different planets, according to different authors. When these planets are somehow related (like Mars and Saturn being considered in the past as ‘evil’ or of detrimental, limiting energy), one might attribute this to the development of astrological understanding through time and consequently consider them of the same general limiting intention in light of the more current knowledge. 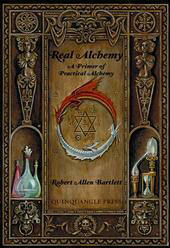 In this important new book on practical alchemy, Robert Allen Bartlett explains what the ancients really meant when they used the term “Philosopher’s Stone” and spoke of the “Great Work.” Bartlett has been a practicing alchemist for over thirty years and was a student of the twentieth century’s most highly recognized alchemist, Frater Albertus, at Paracelsus College beginning in 1974. After receiving his degree in Chemistry in 1979, Bartlett was appointed Chief Chemist at Frater Albertus’ Paralab. Bartlett’s book is an amazing accomplishment in many ways. He has laid bare the secret processes and experiments of our discipline with exceptional clarity and openness. He has exposed the Hermetic origins of alchemy and shown how modern alchemists approach the ancient art. But first and foremost, his book is a revelation of the genuine craft of alchemy as it was meant to be practiced. When an alchemist performs a laboratory experiment, it is the culmination of careful planning to find the right timing and personal purification to create the sacred space in which the transformation can take place. The alchemist becomes an ingredient in his own experiment, and his intention and passion contribute to the outcome. He suffers as the essences are teased and tortured from the substance, and he is elated when the hidden spark of truth brings the dead matter back to life on a new level of being. Admittedly, this is a strange way of looking at laboratory work in a materialistic, industrialized world, and there are many prejudices the modern mind must overcome to accept the possibility that alchemy is real. Yet perhaps, after reading this book with a free heart and open mind, you might find an ancient voice speaking to you through the drone of appliances, engines, and commercial broadcasts that make up our everyday environment. The voice will whisper: But have you tried it? I think modern corporations and government bureaus can take a clue to becoming “living organizations” by examining the organizational structure of the International Alchemy Guild (IAG). I have been active in the group for over 15 years and am now the Solar (or Chokmah) president. My authority is balanced by the Lunar (or Binah) president, Hans Schimmer. Hans is a private and conservative man, cautious and practical, and was born under the Water sign Cancer. I am expansive and liberal, ambitious and imaginative, and born under the Fire sign Aries. We are both complete opposites and stubborn in our traits, but our individual efforts merge to create something new, something that is not wholly in either one of us. That energetic pairing and merging of opposites is true throughout the Guild. Both presidents are equal members of the Board of Governors, which is composed four other members representing the functions of Geburah, Chesed, Hod, and Netzach in the Kabbalistic Tree of Life. The Geburah person represents the strategic negative, complaining, or contractive opinions of the membership, while the Chesod person represent the strategic positive, praising, or expansive opinions of the membership. The Hod person is the Guild accountant and auditor and also head of marketing and recruitment. The Netzach person is the membership director and also manages employees and volunteers, who carry out the daily work and projects of the Guild. In the overall organization of the Guild, the central pillar is the expression of this balanced guiding force as it manifests to form the functional Guild body. Kether is the mystical Source of Light that guides Guild intention and activities. Daath is the accumulated knowledge and archives of the Guild that is part of a hidden Underground River of wisdom that flows unbroken from ancient times. Tiphareth is the heart of the Guild, its diverse and dedicated membership. Yesod is the imagination, life force, and determination that members give the Guild to keep it alive and functioning in the Great Work. Malkuth is the fundamental requirement of membership dues, donations, sales, and physical buildings and meeting places to create the physical presence of the Guild in the created world. The Guild is currently expanding in the United States as a federally tax-exempt, non-profit organization. We have also opened our membership and are seeking candidates for members of the Board of Directors. If you would like to become active in this dynamic organization, visit www.AlchemyGuild.org. The next annual meeting will be held next year in Las Vegas. Los Visionarios is an intentional community founded in 1999 in south Ecuador, with the goal of sharing not only material things and comfort but also to help each other find their path to spiritual advancement, not to preach no one concept nor to force any member to participate, but more so to attract others wanting to work together in finding the ultimate truth. Websites: Utopian EcoVillage Network Federation www.uevn.org and Comunidad Los Visionarios www.LosVisionarios.org . 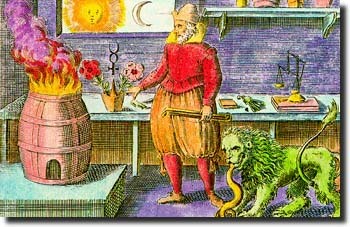 ETX Seminars (in collaboration with the International Alchemy Guild) is currently organizing what we hope to be the largest gathering of alchemists and alchemical practitioners in 500 years. The event is scheduled to take place over the Columbus Day weekend, October 5-7, 2007, in Las Vegas. Complete information can be found atwww.AlchemyConference.com . Alchemy means many different things to many different people. Ask ten people what they believe alchemy to be and you will be given ten different pictures. While the precise nature of the Art has been obscured for different reasons during the thousands of years of its existence, the word has nearly lost its ability to identify, describe or explain, for those of us living in the current culture, what alchemy was in the past and is today. Number 10 – the name of a company – Alchemy Enterprises – that makes magnesium based hydrogen-on-demand fuel system. Number 9 – part of the title of an online article: “The Midas Bug – the bacterial alchemy of gold” in which the role of bacteria in the formation of gold nuggets is described. Number 8 – a new sound track for Goatwhore – a New Orleans based band. Number 7 –the name of a technical solution for the centralized management of USB flash drives – KeyPoint Alchemy – announced by RedCannon Security. Number 6 – a second announcement by Alchemy Enterprises that they successfully connected their Electric Power Cell to existing hydrogen fuel cell technology and produced electricity. Number 5 – a title of an article – “Seductive Alchemy” describing Istanbul in “The Hindu,” the online edition of India’s national newspaper. Number 4 – as a comparison to the practice of Bodhicitta in a presentation: “Bodhicitta: the Ultimate Alchemy” given by Dzongsar Khyentse Rinpoche at the Herbst Theatre in San Francisco. Number 3 – another announcement of Red Cannon’s solution for managing flash drives – KeyPoint Alchemy. Number 2 – yet another announcement by Alchemy Enterprises. And the Number 1 way that the word alchemy was used – the name of a project at the Manchester Museum facilitating the access of artists to the Museum to create new works of art. So, I took another step down the path I had begun and stole one more response from the Oracle’s Temple. It was easy; I turned the page of the online tome by simply selecting Next Page. And, there it was: an article in the The New York Sun about the Alchemy Conference held in Philadelphia four weeks ago that was sponsored by the Chemical Heritage Foundation. Larry Principe, a professor at John Hopkins and chairman of the conference that organizers believed to be the largest one ever held in America on the history of alchemy, claimed the field is in “flourishing health.” Principe’s attention was drawn to alchemy when he discovered a note by Issac Newton in which the noted scientist (and alchemist) described a theoretical way of creating the Philosopher’s Stone. The note is part of the Roy G. Neville Historical Chemical Library acquired by the Chemical Heritage Foundation in 2004. Conference participants, who included experts in science and history from the US and other countries, examined the contributions of alchemy to science, literature and art. I did notice that conference attendees enjoyed “alchemy-inspired music” played by a Baltimore based ensemble call Arcanum. So, how do I resolve this striking difference in the use – and understanding – of the word: alchemy. I’m not certain. But, I am energized by the thought of scientists studying the alchemical works of Issac Newton and gathering to present information on the contributions of the Art to our world. And my hope is that this issue of the Alchemy Journal and others to come will continue to herald and support the emerging understanding of alchemy as one of the foundations upon which our culture and others is based.